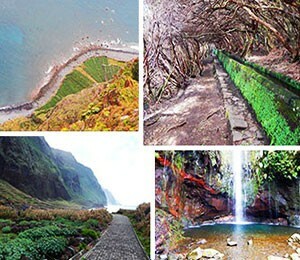 On this map you can find all of the tourist attractions and sights of Madeira Island. This map shows the locations of most important and most visited tourist attractions of the island, natural wonders, viewpoints etc. Madeira Island is located in the Atlantic Ocean, around 1,000 kilometers away from the coast of Portugal and its capital city Lisbon. On the map, the island is situated to the West from the coast of the African continent and Morocco, just 400 kilometers north of Tenerife. Madeira Island is located in the Atlantic Ocean, around 1,000 kilometers away from the coast of Portugal and its capital city Lisbon. On the map, the island is situated to the West from the coast of the African continent and Morocco, just 400 kilometers north of Tenerife. Its mild climate offers almost a year round paradise in amazing biodiversity, which probably represents the main tourist attraction of the island. The population of Madeira Island is around 270,000 people. 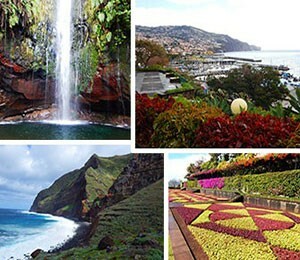 The capital city of Madeira Island is Funchal, located on the southern coast. The population of Funchal is around 111,000 people, which means that more than 40% of Madeira’s population lives in Funchal. The island was completely uninhabited till 15th century when it was discovered by Portuguese sailors. In this period, called the age of discovery, Portugal started building new navy ships and started exploring and discovering new worlds. 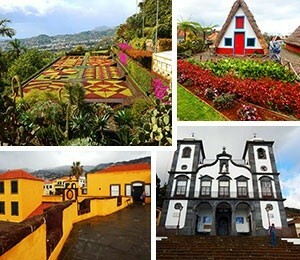 Madeira is considered to be the first discovery of this era. 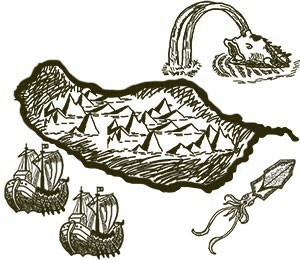 There are many sources that testify that the island may had been discovered even before, but in history the Portuguese discovery was taken as the official date. In 1418, two Portugal captains were taken off course by a storm and ended up on the island that they named Porto Santo (Holy Harbor) because they escaped a shipwreck. In 1419, an expedition was organized to explore this island. Newcomers saw a heavy cloud in the direction of southwest, which finally turned out to be the largest island of the archipelago Madeira. Therefore, both discovered islands Porto Santo and Madeira were claimed by Portuguese crown and soon afterwards colonized.